NORTHBOUND Bruce Highway traffic has been severely affected this afternoon after a 4WD and caravan rollover. The vehicles crashed heading northbound on the highway at Yandina. The Department of Transport and Main Roads has warned a lane or lanes have been reduced due to the crash, and tow truck operators are on scene. The Department has warned drivers to expect delays and asked people to use caution in the area. 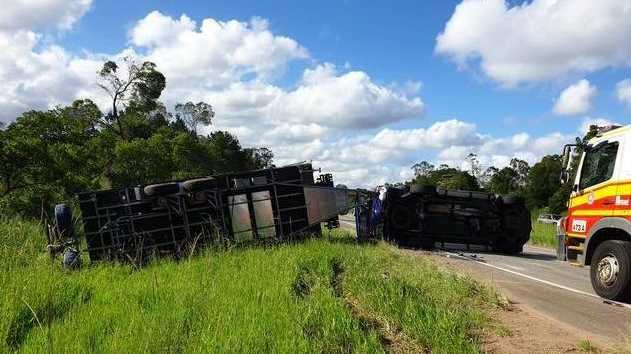 The crash happened on the Bruce Highway at Yandina, headed towards Eumundi. It's unclear whether any injuries have been suffered or how serious they are yet. The crash happened about 4.30pm. It follows heavy congestion being reported from Brisbane to the Sunshine Coast.